The purchase of an electric car that plugs into the power grid to recharge its battery often gets drivers thinking about the source of their energy. We haven't seen data from recent years looking at the overlap between electric-car drivers and home solar panels. But early analyses in California indicated as many as four in 10 electric-car drivers were already using or considering the addition of home solar panels to generate electricity. California has been at the forefront of emission reduction and renewable energy for decades, so those 2012 results may not reflect the national average. Still, Green Car Reports reader and frequent commenter Shiva, of Fremont, California, is one of the electric-car owners who have recently added solar panels. 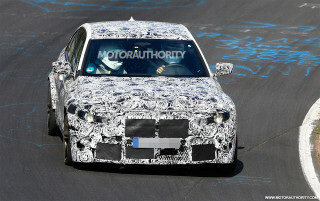 What follows are his words about that process, lightly edited by Green Car Reports for clarity and style. Looking back over the last two years, it’s amazing to see the changes and progress our family has made in lowering our environmental impact. After purchasing our first electric car in June 2015, a used 2012 Nissan Leaf, we are now on our fifth electric car. We are looking to add our sixth, possibly even our seventh, by the end of next year. You might logically ask whether we would add solar panels to our house to offset our increased electrical consumption. The answer is a little complicated. 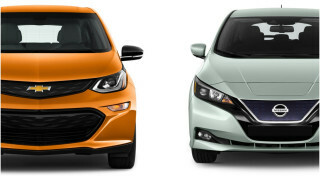 Our utility provider in Fremont is Pacific Gas and Electric (PG&E), which offers a time-of-use plan for electric-car owners that we enrolled in. It provides for cheap electric rates during off-peak hours (11 pm to 7 am on weekdays; any time before 3 pm or after 7 pm on weekends and holidays). The cheap off-peak rate is about $0.10 per kilowatt-hour, which made it dramatically cheaper to run our cars against the current San Francisco Bay Area cost of gasoline at about $3 a gallon. Today, we are actively charging and driving four cars: the Leaf, a Chevrolet Spark EV hatchback, and two Tesla Model S sedans. Our average monthly electric bill is $250. Considering we drive our EVs an average of 13,000 miles a year and our house is close to 5,000 square feet, that's a low number. The PG&E time-of-use plan has significantly changed our behavior, to the point that now more than 80 percent of our electric use is during those off-peak hours. You might ask, then, what about the cleaner and greener aspects of adding solar panels to our house? California has one of the cleanest grids in the entire country, and our local PG&E grid is cleaner yet: almost 70 percent of the utility's power is generated from carbon-free sources (nuclear is 24 percent, hydro is 12 percent, and geothermal, biomass, solar, and smaller hydro make up 33 percent). So what changed that we just decided to install solar in our home at the end of June? It’s a combination of factors. The city has the highest concentration of electric-car ownership in California, and likely in the U.S. Fremont is aggressively pushing EV ownership, as we also have the largest group of (non-Tesla) quick-charge sites here as well, at Lucky’s shopping center in Fremont on Mowry Avenue. Of course, the huge Tesla assembly plant is right in our backyard as well. 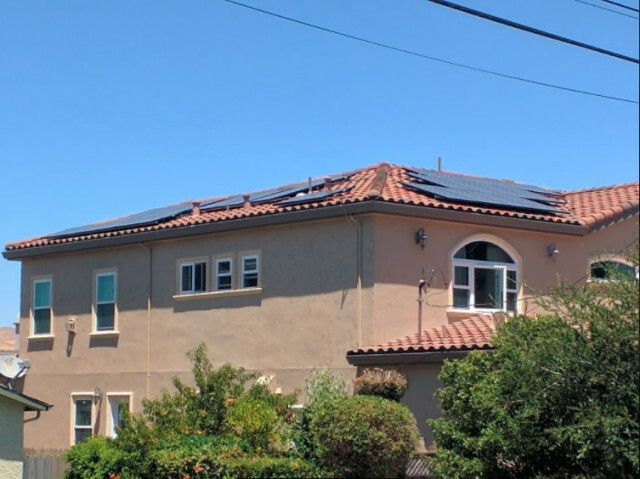 All that means that Fremont residents will demand solar panels in their next house, and solar panels and electric-car charging stations will likely raise home values. Adding solar to our five-year-old house will make it competitive in the market and give it what people are demanding. With that in mind, I found there’s a new funding program of local and state incentives called PACE (Property Assessed Clean Energy). We can add solar and other energy-efficient improvements to our home just by paying for them through an increase in our property taxes. It requires no loans or minimum credit scores, and we can choose payback terms of five, 10, or 20 years. Because our property taxes will increase, we can lower the payback period for our solar panels by using the interest portion of the higher property taxes as an itemized deduction on our federal tax return. 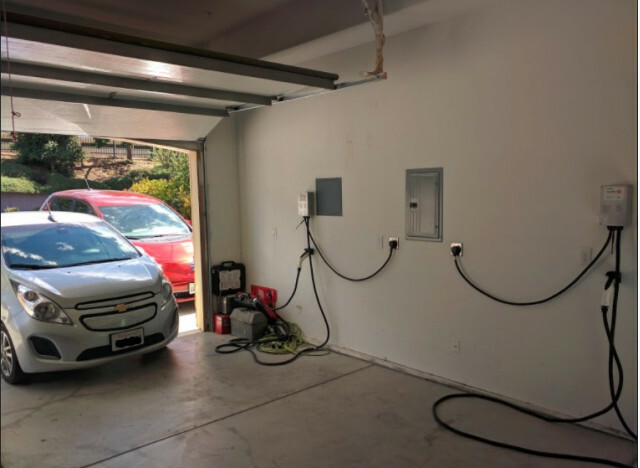 We are not alone in our decision; several surveys point to a high incidence of electric-car owners having or installing solar at their residences. 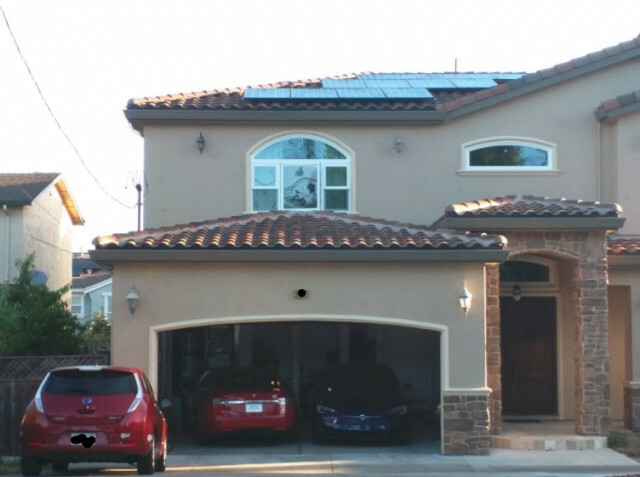 A survey of more than 19,000 EV owners from 2013 through 2015 by the California Clean Vehicle Rebate Program showed that about 40 percent of EV owners have a photovoltaic system installed at their home, or are planning to install one. The survey was completed in May 2015. A June 2017 survey by CleanTechnica similarly showed up to 40 percent of more than 2,000 surveyed owners have solar panels. Respondents were spread across the United States, Canada, and Europe. The entire survey is worth reading; it gives details about EV driver needs, desires, user experiences, and demographics. Furthermore, digging down into our PG&E rates, I noticed that our rates (specifically off-peak) have increased by about 10 percent annually. Our 2015 off-peak rate after getting the Leaf was $0.0992/kWh, while today it is $0.1225/kWh: an increase of more 23 percent. PG&E customers under the standard tiered E-1 plan may be shocked by the base rates: in 2007, the tier 1 rate was $0.11430/kWh, whereas now it’s $0.19979. That’s an increase of 75 percent or 7.5 percent a year! Armed with this information, we knew we wanted to go for the solar. With the PACE program, it became a no-brainer. We had a choice between several different brands/models (LG, Q-Cell, and two versions from SunPower). We ended up going with 330W LG panels. 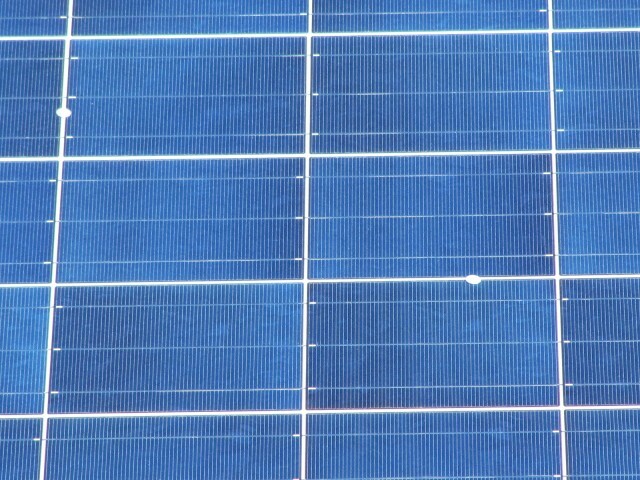 Our total system output is 7.26kW, comprised of 22 panels for a final, after tax-credit (30 percent) cost of $2.45/W. These were strategically placed and maxed out on the available space on the west and south sides of our roof to provide the most production during the peak hours of sunlight and the peak hours of our time-of-use plan: 2 to 9 pm for peak rates, 7 am to 2 pm and 9 pm to 11 pm for middle peak, on weekdays. Since our roof has no shade and our two-story house has high ceilings, fewer factors lower the output of our solar system. 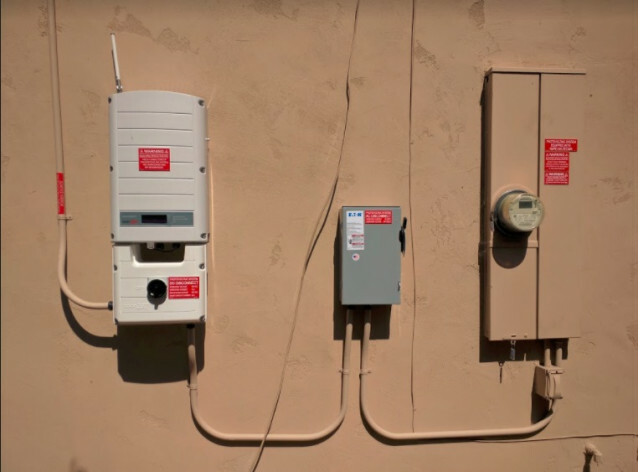 Our system produces about 10 percent more electricity than the same installation on our installer's one-story house with some shade and the dust kicked up after his gardener does weekly maintenance. Our system had already produced more than 1 megawatt-hour of electricity after just a couple of weeks. We consume about 1,500 kWh a month, so the system will easily cover that monthly amount and even produce a small excess credit. In the unlikely event that we increase our electric use beyond what we produce, we remain able to purchase energy from PG&E at the cheapest off-peak rate. As of now, we are producing energy and selling it back to PG&E during their peak demand hours. Considering our total cost, the 30-percent federal tax credit, and the PACE program with a 10-year payback term, our cost of production is now $0.06/kWh. The entire system will have paid for itself in less than six years. Get multiple quotes from different installers and companies. Our local installer’s cost proved to be 25 to 30 percent lower than what such large nationwide companies as Solar City/Tesla, Sunrun, and SunPower offered. Be wary of the many publicly-traded solar companies now facing bankruptcy or under investigation by the SEC for cancelling contracts. If you have a time-of-use plan, your installer should not calculate the size of your solar system solely based on the electricity you’re consuming. The analysis should factor in your highest, on-peak usage to get an accurate overall cost per kilowatt-hour. In other words, include when you use your energy, not just how much you use. If you have a tile roof as we do, make sure your installer will fix and/or replace any broken tiles. Only the installer we chose specifically said he would fix and/or replace broken roof tiles and put that into our contract. He ended up charging us a price that was about 15 percent higher to take this into account. No other bidder even mentioned it, leading me to believe that if tiles were damaged, they would have left them like that—leaving us vulnerable to a leaky roof next winter. If your city is eligible to participate in PACE, I’d recommend taking full advantage of it against an outright purchase or taking out a loan. Not only can you deduct the interest portion of the higher property taxes from your itemized federal income-tax return, but if you sell your house before the term completes, the deduction and payments transfer to the next owner. Find out what brand of solar panels you will be using. Different photovoltaic panels can differ in quality and efficiency. Our LG panels, manufactured in South Korea, come with a warranty guaranteeing 85 percent of capacity over 25 years. 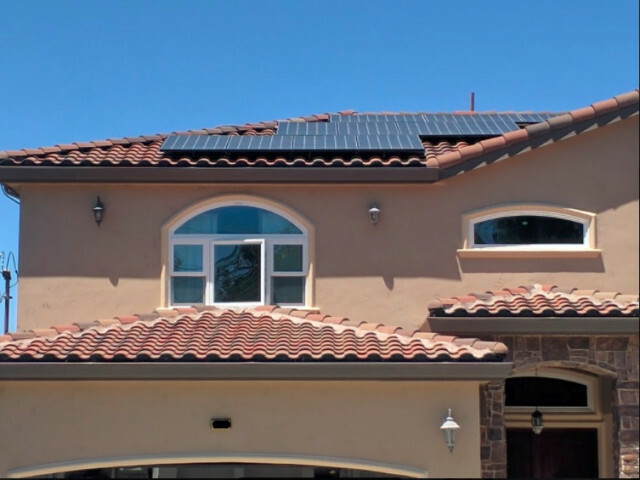 SunPower has the most-efficient panels, guaranteeing 90 percent production over 25 years, but they cost more per watt. You may need to upgrade the electrical service to your home to install solar panels. We had to install a 35-amp circuit breaker in the main panel that connects to the inverter, as required by city code. Luckily, we already had 200-amp service in our newer house. Our previous house had only 100-amp service, so we would have needed a panel upgrade to add solar, which our installer said would be an additional cost of $2,000 to $4,000. As our system powers our home and our electric cars, we plan to track our energy production against our consumption. The mobile app for our SolarEdge inverter tracks everything in real time, so I can see graphs of the energy produced in a given day or week, the kilowatt-hours generated at a particular hour, and more. Instead, the utility will conduct an annual “true-up,” at which point PG&E will look at what we produced from our solar system against what we consumed. EDITOR'S NOTE: The original version of this article said that, under the PACE program, the full amount of property taxes paid could be deducted on the owner's itemized federal return. However, IRS guidance says only the interest portion can be deducted—not the entire amount of the PACE funding added to the property bill. We have updated the article accordingly. As always, for tax advice, please consult your local CPA or tax professional.